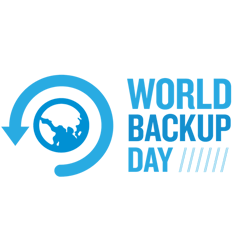 World Backup Day is a day committed for the cause of secure data backup. The day aims to educate people on the ever-increasing role of data in our technology infused lives and the significance of regular backups. What are you doing on World Backup Day? When Did World Backup Day start? World Backup Day will take place on Sunday, 31st March. The event will strive towards a future where data is securely backed up online so that users always have a backup of their most important files in an event their devices get stolen or they upgrade to a new device. While the world celebrates World Backup Day, the real question you should be asking yourself if what are you doing on World Backup Day? Ideally, the answer to that should be: taking precautionary steps to ensure your data is backed up safely. This public awareness campaign started on Reddit by a couple of concerned users who strongly believed about making regular backups and data preservation. Think about it, what would you do if you lost everything on your computer or mobile device? Most people would immediately go to their backup. Are you one of those people who religiously makes a backup of data? If not, you’re in for a big trouble. As a dedicated day, World Backup Day aims to encourage people to back up their data. According to a report, nearly 30% of all people on the internet have never backed up their data and more than a hundred phones get stolen every minute. Imagine being a victim to theft and having no backup of your most important data? Computers and other devices are regularly targeted and infected with viruses that cripple your device and invade your privacy. With no backup of your important files, you can be locked out of your work and starting over could just be worse! If you have been meaning to backup your data, but haven't gotten around to it, now's the right time. Before you begin, you must know that a backup can be made on multiple devices: a computer, a USB, a disk, and the most preferred, the cloud. Cloud storage services have made our lives easier and the best of them offer end-to-end encryption of your data, keeping it safe. Usually, you get limited storage but additional storage can be bought for extra space. Cloud services can be accessed by both computers and mobile devices from any corner of the world. While you can make a backup of your Smartphone’s data on a computer, it’s best if you make a backup on the cloud. For those who use an iOS device, backup on iCloud is plain and simple. For those with Android devices, backup on Google Drive has never been any simpler.